Terrie, a Christian Mellow music artist and Actress. Born in Ennis, Texas (small town south of Dallas), she settled in Houston after college. Terrie completely sings from her soul. Her soulful singing has carried her as far as Dubai (United Emirates) where she performed and was given a standing ovation. The beginning of 2017 brought an opportunity to sing for the crowds of the Super bowl. 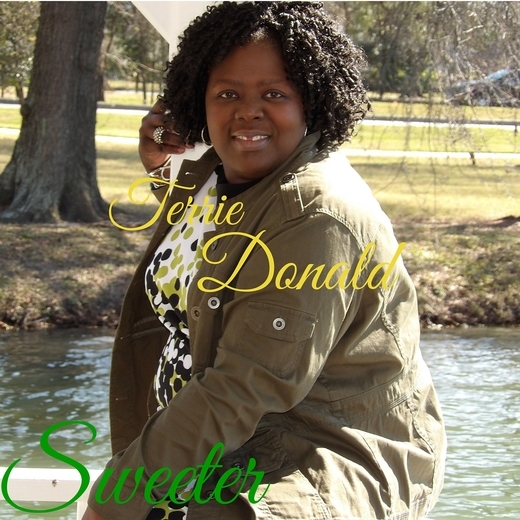 Her single “Sweeter” released in 2016 and has received a considerable amount airplay on various radio station in the city Houston and the surrounding area. She followed up with successful acting opportunities in shows such as “The Cleotha War”, Sis. Rudie Poot and the Holy Grilled, Sinister Minister, Cry Baby, Josephine Baker. Terrie is currently on tour with the Hit play Ain't Always Been Saved where she plays "Noni" the voice of reason. She is also a champion for Breast Cancer Awareness of which she is a 7 year survivor. Her YouTube segment Moving Forward was born out of the need of encouragement. Terrie is living out her purpose and her soul plan. She lives by the motto: "You never know what will happen until it happens". That is what Moves her Forward!